Talk about hot topics. Kellyanne Conway entered the ring again at The View on Wednesday, November 2. Republican presidential nominee Donald Trump’s campaign manager duked it out with cohosts Joy Behar and Whoopi Goldberg, fighting to get a word in edgewise over the impassioned TV personalities. Watch what happened in the clip above! 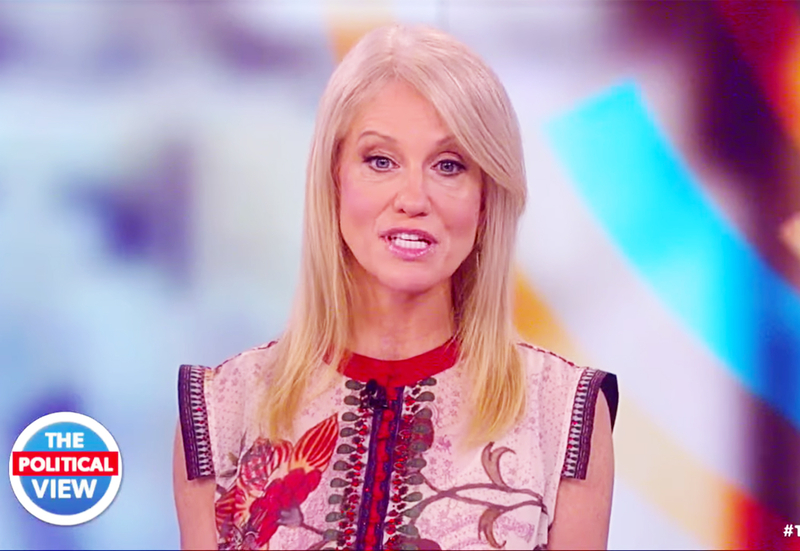 Things got tense when Conway brought up ABC News’ most recent poll, which shows Trump beating his opponent, Democratic presidential nominee Hillary Clinton 46 percent to 45 percent, giving the Sister Act actress the perfect opportunity to take a dig at Trump’s claims that the election polls are rigged. “It’s our favorite poll,” Conway said. Goldberg then asked Conway if the Trump campaign loves the media now, considering the boost in polls. Conway said she’s always been pro-media, a comment that set Goldberg off. “He said, the media is crooked, the polls are crooked, everything was crooked, and now he’s doing better because they’re neck-in-neck, and I’m just wondering, will it be crooked again if he slips in the polls? Are we back to crooked?” Goldberg asked her. Behar then joined in the argument and, at one point, called Conway “delusional” while discussing Trump’s stance on nuclear weapons.